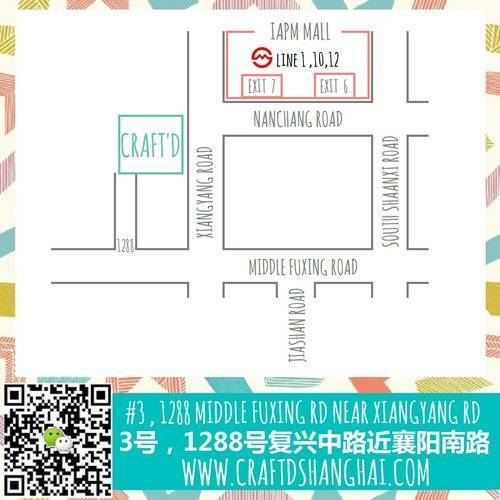 Craft'd Shanghai - Sew a Christmas Stocking! CHRISTMAS IS LESS THAN 2 MONTHS AWAY! Now is the perfect time to start thinking about all those lovely DIY gifts you want to give! How about starting with a personalized Christmas stocking? You will have a gorgeous range of Christmassy fabrics to choose from and will be taken through the process of cutting, assembling and sewing your very own Christmas stocking. Plus there will be time at the end to add your own hanging ribbon and any other additions you would like. A pompom trim? Sure, why not! Are your kids a huge Christmas fan, just like us at Craft'd? If so, this one day Christmas mini camp is for them! Children will be given an introduction to the sewing machine in the morning whilst they create their very own personalized Christmas stocking. After lunch we will be continuing with the festive fun, making decorations for the Christmas tree, festive snacks and even designing our own Christmas sweaters!